THIS PLATE IS RIVETED TO THE DRIVERS SIDE OF THE TRUCK CAB. 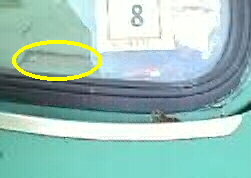 VISIBLE WHEN THE DRIVERS DOOR IS OPEN, JUST BELOW THE DOOR STRIKER BOLT. 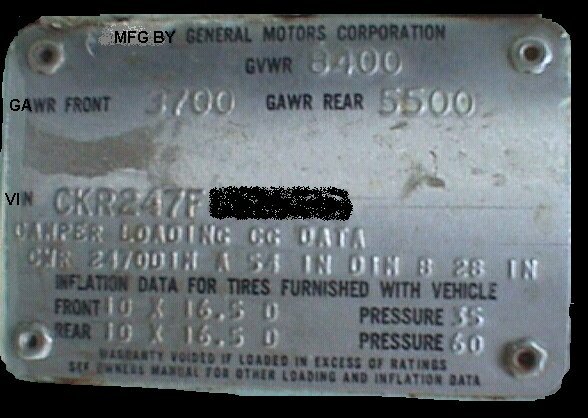 TYPICAL 79-87 VIN PLATE LOCATION. THE BOTTOM CORNER OF THE DRIVERS SIDE WINDSHIELD. THE PLATE IS SET IN THE DASH.